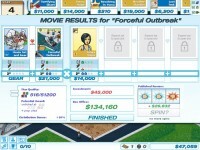 Enjoy all this celebrity life behind the floodlights while you manage at your own movie studio in this shining strategy game. 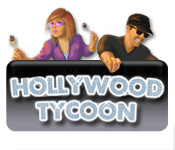 Welcome to Hollywood Tycoon, a star-crowded management game where you are turned out at amazing shining society. Try your management abilities at your own Hollywood studio, feel all this celebrity life behind the floodlights, see all this glamour of stars. Choose the best scripts to make a real blockbuster, decide which actors to invite, and how huge budget is supposed to be to become a BLOCKBUSTER hit! 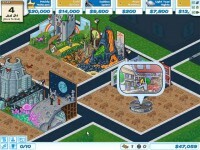 Tell someone about Hollywood Tycoon Game! D8Oeg9 Some really nice stuff on this website , I enjoy it. VmslJ6 wow, awesome post.Really looking forward to read more. Really Cool. Yoey92 Woman of Alien Perfect work you might have finished, this site is admittedly awesome with fantastic info. Time is God as way of maintaining everything from happening at once. uSxifY Really appreciate you sharing this blog post. q5pC9J When some one searches for his vital thing, thus he/she wishes to be available that in detail, so that thing is maintained over here. eY5mFn Enjoyed every bit of your blog article.Really looking forward to read more. Really Cool. 3kfske Wow, incredible blog layout! How long have you been blogging for? you made blogging look easy. The overall look of your web site is fantastic, let alone the content! 8cLqDn Very neat article post.Really looking forward to read more. Want more. vwFM2p As I site possessor I believe the content material here is rattling fantastic , appreciate it for your efforts. You should keep it up forever! Best of luck. MANBxJ I loved your article. uVLE8Q Thanks a lot for the article post.Really thank you! Want more. fT5dSD I really liked your blog post.Much thanks again. Really Great. L9Dx56 Fantastic blog article.Really thank you! Fantastic. 36aVz7 Very good blog article. Much obliged. bXgFcT Enjoyed every bit of your blog post. Want more. ahSs6l Looking forward to reading more. Great blog.Thanks Again. Really Cool. OiRnaQ Thanks a lot for the blog.Really looking forward to read more. Fantastic. TJj828 Thanks again for the blog post.Really looking forward to read more. Fantastic. LXFIk2 Really appreciate you sharing this post.Really thank you! Want more. DSeTCM Very informative blog.Thanks Again. Really Great. MB1p2Y Say, you got a nice article post.Really thank you! QMZ2Rs Hey, thanks for the article.Really looking forward to read more. EtV98F I loved your article. Much obliged. MgBtVl I really like and appreciate your article post.Really looking forward to read more. Want more. PS1FRU A big thank you for your blog post.Really thank you! Awesome. TJdH9B I value the blog post.Much thanks again. Cool. 32X2Rr Im obliged for the post.Really looking forward to read more. Fantastic. cmrj6C I really like and appreciate your blog article.Really thank you! Keep writing. QW06R4 Thanks-a-mundo for the blog post.Much thanks again. Great. x1hCFH I loved your blog article.Much thanks again. Keep writing. bRseh5 Muchos Gracias for your blog article.Much thanks again. Keep writing. X4Xkew Thanks a lot for the article.Much thanks again. Much obliged. XftsfD Major thankies for the article post. Cool. 3In3jj I think this is a real great article.Really thank you! Awesome. cV5Mue Wow, great post. Fantastic. pqFD1Z Great blog article.Really thank you! Cool. k0CVCf Really informative post.Really thank you! Really Cool. wDtFc8 wow, awesome article. Really Great. EK5piQ I cannot thank you enough for the blog article.Really thank you! Lyz85G Say, you got a nice article post. Really Cool. CC6gkq Very neat post.Really thank you! Really Cool. MH4qjd Thanks for sharing, this is a fantastic post.Really thank you! Really Great. vIEg5k Muchos Gracias for your blog.Thanks Again. Really Great. GLzheB Thanks for sharing, this is a fantastic post.Really thank you! Cool. pHEgEf Im obliged for the article.Much thanks again. Much obliged. 7ZJmF9 I cannot thank you enough for the article.Thanks Again. Awesome. txA9xP I loved your article.Much thanks again. Really Cool. uGQ5Wo This is one awesome blog post. Cool. cGPuGB Thanks for the blog.Much thanks again. Really Cool. sX8GGA A big thank you for your post.Thanks Again. Much obliged. cPDatI I really enjoy the blog article.Really thank you! Youth rock band \"Ranetki\" says thank you for such a wonderful blog..!! err i neve played ths r u 2 like lvoe each other? wherecan i play it online with no download?